Before last years track season, it was hard to tell who was the better Maison twin, if it was Sean or Scott. After the track season, it is clearly Sean. 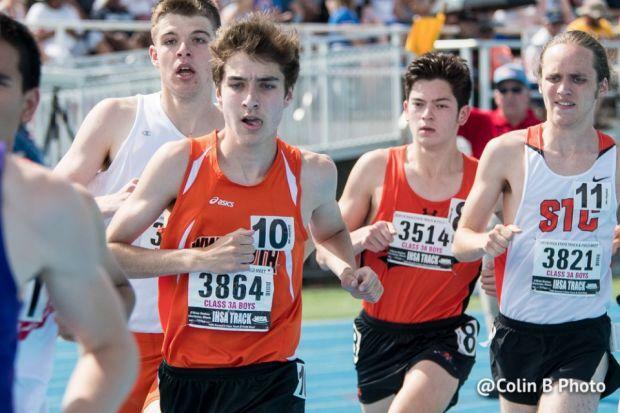 Sean last year kept fighting to break the 15-minute barrier and he first did so at the Lake Park Sectional where he ran a 14:54.4 to take 5th place in a deep race. Sean then followed up that performance with a 14:55 at the state meet to take 32nd place. He just missed being an All-Stater by 7 spots. Sean was definitely fired up after that and it showed in his race at NXR where he took 34th place! He beat a host of returning all-staters which includes the likes of Jack Roberts, William Hauenstein, Charlie Nevins, and Stephen Moody. Sean's main event during the track season was the 1600m in which he dropped a personal best 4:16.28. I like how Sean is someone that will go out and do whatever you need him to do. I think that will take him far in life and as a runner.